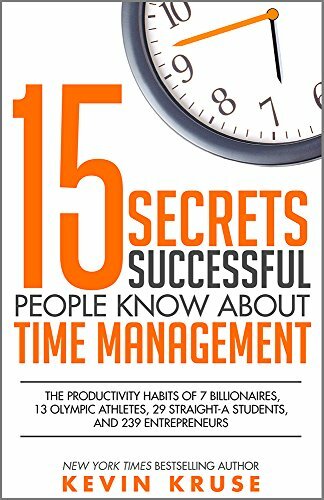 I ended up reading Kevin Kruse’s book, 15 Secrets Successful People Know About Time Management: The Productivity Habits of 7 Billionaires, 13 Olympic Athletes, 29 Straight-A Students, and 239 Entrepreneurs in January but haven’t had the chance to write-up my review. Here it is now! This book, other than having one of the longest book titles ever, is a huge collection of tips and tricks from a lot of people from different fields. It’s chapters are organised around different topics, with examples and quotes from different people (both famous and not so well known) to help you understand how others manage their time. At the end of each chapter is the concluding tip, which I’ve summarised here below. Identify your Most Important Task (MIT) and work on it each day before doing anything else. Work from your calendar and not a to-do list. Procrastination can be overcome when you figure out how to beat your future self, who cannot be trusted to do the right thing. Accept the fact that there will always be more to do and more than can be done. Email is a great way for other people to put their priorities into your life; control your inbox. Schedule and attend meetings as a last resort, when all other forms of communication won’t work. Say no to everything that doesn’t support your immediate goals. Eighty percent of outcomes are generated by twenty percent of activities. Focus your time only on things that utilise your unique strengths and passions. If a task can be completed in less than five minutes, do it immediately. Invest the first 60 minutes of each day in rituals that strengthen your mind, body and spirit. Productivity is about energy and focus, not time. There are many nice personal stories about situations and each chapter frames the advice in terms of different roles about how it might apply if you’re an entrepreneur, an executive, a freelance, student or a stay-at-home parent. I really found this book really easy to read as it was one of those books that gives you lots of practical bits of advice that you can apply immediately. I think it’s also a great book if you’re feeling overwhelmed and unsure about how to manage your time and energy. Since all the advice comes from different people, you will find that some of the advice may not be so easy for you to put into practice, but gives you a good set of ideas to try something out for yourself.